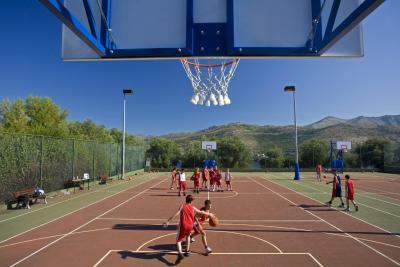 Friendly staff, plenty of facilities to use & good location! Loved having the use of the hotel swimming pool and fresh towels every day. The staff were really helpful. Their English was excellent and they dealt with a problem that we had efficiently. Staff was very nice and helpful giving tips about public transport etc. Bus stop really near and easier to move around the city by bus than car. Cabin was clean. 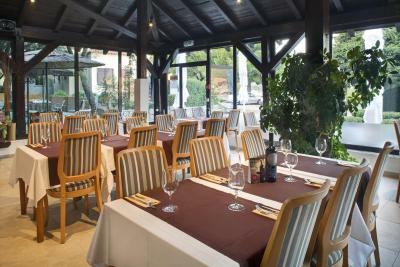 Location top class to enjoy Dubrovnic and all it has to offer and also enjoy a relaxing sun holiday in relaxing surroundings. Close to everything, we could walk everywhere. Had our own little garden with sun loungers. 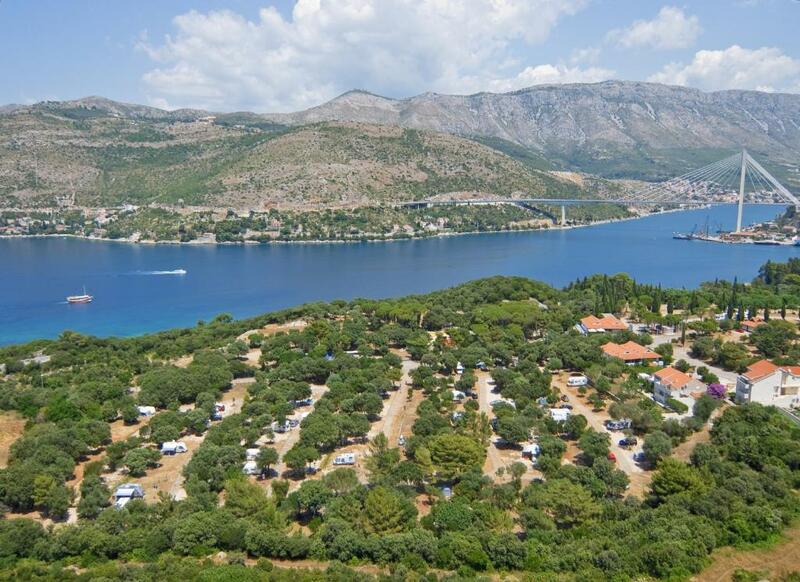 Solitudo Sunny Camping by Valamar This rating is a reflection of how the property compares to the industry standard when it comes to price, facilities and services available. It's based on a self-evaluation by the property. Use this rating to help choose your stay! 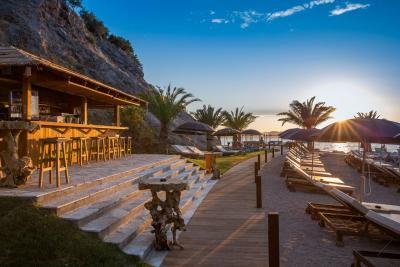 Only 1,000 feet from the beach in Solitudo campground, Solitudo Sunny Camping by Valamar is set in a quiet area of Dubrovnik on the Babin Kuk Peninsula. Featuring air-conditioned accommodations and an à-la-carte restaurant, it offers an outdoor pool, a basketball court and a mini golf course. 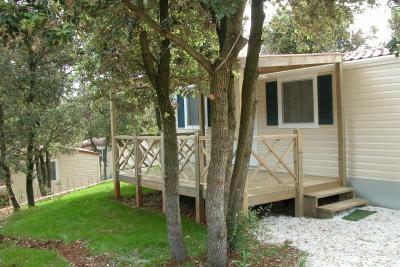 All mobile homes provide a terrace with views of the surrounding greenery. 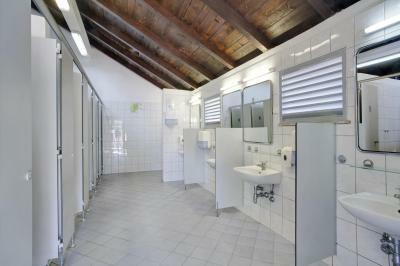 Each unit consists of a bedroom, kitchenette and a private bathroom with a shower. 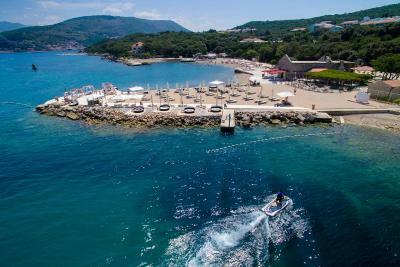 An outdoor swimming pool and a children pool are set within Valamar Club Dubrovnik Hotel, 1,000 feet away, and guests can use them free of charge. Babin Kuk with its promenades and beaches offers a lot of opportunities to relax. 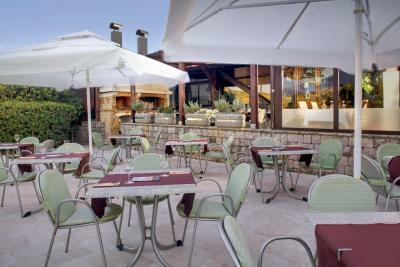 Various restaurants, shops and bars are only steps away from the Solitudo Sunny Camping by Valamar. 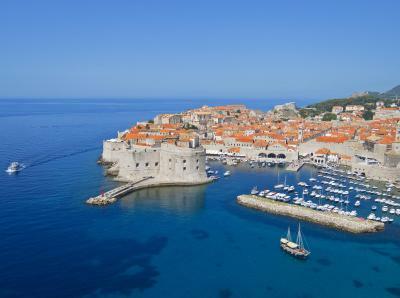 Dubrovnik’s UNESCO-protected Old Town, with its many landmark sites such as the Stradun Promenade and Onofrio’s Fountain, is 2.5 mi away. Dubrovnik Ferry Port is within 1.6 mi. Dubrovnik Airport is 14 mi from the Dubrovnik Mobile Homes. 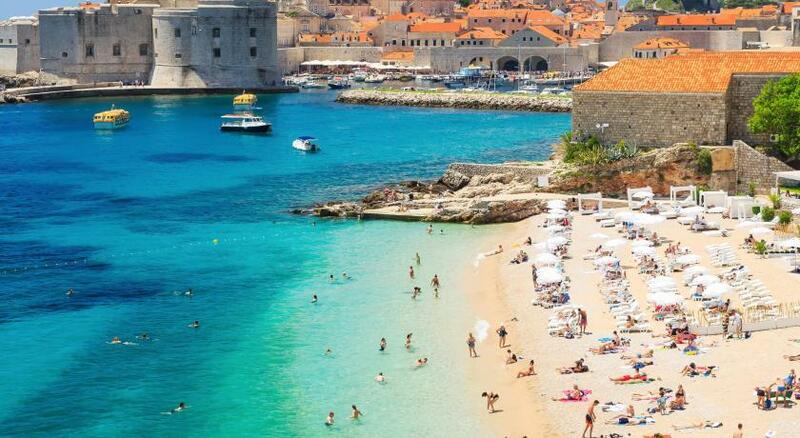 Babin Kuk is a great choice for travelers interested in beaches, sunshine and the oceanside. 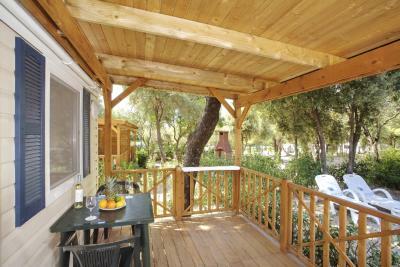 When would you like to stay at Solitudo Sunny Camping by Valamar? 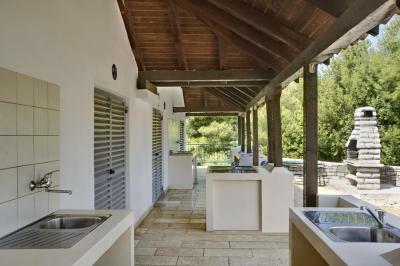 This air-conditioned mobile home features a terrace with a dining area and views of the surrounding greenery. It has a kitchenette and a separate sleeping area. This mobile home also comes with a bathroom featuring a shower. This mobile home has a private entrance, satellite TV and air conditioning. This mobile home has a satellite TV, air conditioning and stovetop. 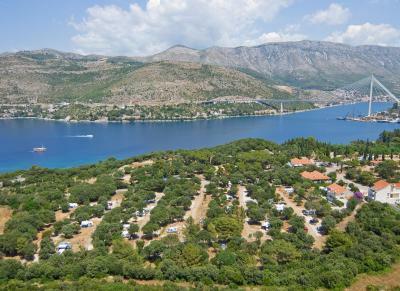 Camping Solitudo is the only campsite in the UNESCO heritage city of Dubrovnik. 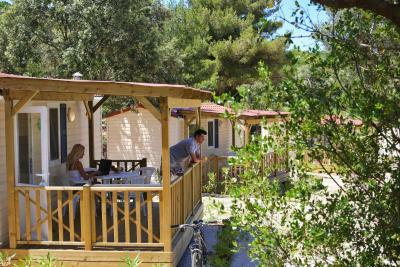 This oasis of tranquillity sits in verdant Mediterranean parkland close to the beaches and offers a quality camping experience in a friendly atmosphere. Area Info – This neighborhood is a great choice for travelers interested in beaches, sunshine and the oceanside – Check location Great location - show map Guests loved walking around the neighborhood! 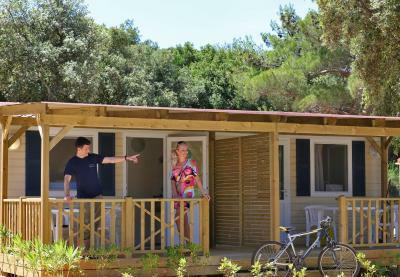 House Rules Solitudo Sunny Camping by Valamar takes special requests – add in the next step! 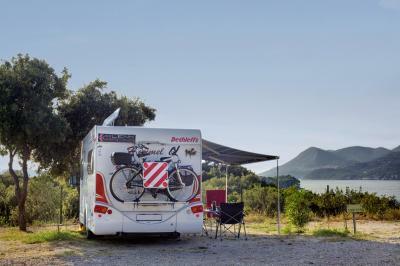 Solitudo Sunny Camping by Valamar accepts these cards and reserves the right to temporarily hold an amount prior to arrival. Payment is made at the hotel reception in HRK or in EUR based on the current exchange rate on the day of payment. Please note that your credit card will be charged in HRK (Croatian currency). Your bank hereinafter converts this amount to the currency of your domestic account. Due to your bank's exchange rate this may result in a slightly different (higher) total charge than the amount stated in HRK on the invoice. The unfriendly staff when we had a problem with air conditioning as it took us several visits to reception and then threatening to stay at reception until someone sorted the problem. The beds are a bit small. Loved how peaceful and quiet the area is. I didn't like the unfriendly staff. The location. A long walk to shops bars very hilly not good for anyone with any mobility issues.